Cat# on spine is DUN-1, on Chills side label DUN 1. 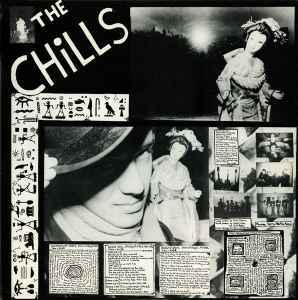 Chills side: Recorded at Paul's House. Stones side: B4, "Surfs Up" vocals credited to "Jeff, Wayne, Graeme, Paul, Chris, Jaye, Fraser". On some copies Verlaines and Stones labels are switched, each on the others side/face. On about half approx 150 copies (estimate from Roger Shepherd) of the first pressing, the cover was reversed, with The Stones and Sneaky Feelings on the outside. Although the cover was designed to be made either way around, this was not done again.